Dear Zhou , We would like to thank your school my primary 5 is currently attending. His grades have since improved from 66 to 87 in his recent Chinese exams. His previous tuition at Singapore leading Chinese tuition center was not really helpful and have not show such improvement. Keep up the good job and we strongly recommend this Zhou to other parents. Thank You ! I would like to express my gratitude thanks to Zhou's Academic Studio for helping my girl with her PSLE Chinese paper. To my surprise, she managed to obtain an ‘A’ for her Chinese paper. My girl grew up in an English speaking environment. Since Primary 1 to 6, all these years, she has been weak with her Chinese language paper – she either failed or did only marginal pass for her Chinese papers. She has never ever got an “A” for her Chinese before. We managed to source out this school - they have excellent track records through the years in assisting their pupils to obtain “A” or “A*” for Chinese. So we signed her up for the course, hoping the fact, as long my girl can obtain a “B” – we will be more than happy for her already. I would like to express my gratitude thanks to Zhou Chinese Language Academy for helping my girl with her PSLE Chinese paper. To my surprise, she managed to obtain an ‘A’ for her chinese paper. We made a difficult decision to switch tuition center for I-hur’s Chinese class towards the end of P5. Even so, not many tution centers were prepared to take in a new student so close to PSLE. I appreciate Zhou's Academic Studio's readiness to help out. In the past, I-hur was not fond of Chinese language, but your teaching has certainly turned that around. From the moments I-hur entered your class, he was a child transformed. Not only has he become interested to share what he has learned from each lesson, he is now confident and ready to use the language in his daily conversations. My son, who has studied Chinese at ZAS since Primary Four, is now top in the whole level. Whvan Hsin enjoys the class and the teachers are very helpful. I find the comments in composition are very useful. Thanks! Caitlin enjoys being taught by 邹老师. She has improved significantly especially her creative writing and really looks forward to her lesson. Very lively class, adequate amount of homework given. Teacher tries her best to provide additional assistance in area of weakness. Condusive environment for learning. Very happy to here found this tuition center by chance. I want to take this opportunity to thank Zhou’s academic studio and their teachers for teaching my son for the last 3 years. My son was very weak in the Chinese language and only after a few months, we could see the improvement. Importantly, he could comfortably write a Chinese composition without too much guidance. I believe this stems from the nurturing style and care that the teachers showed and the complementary syllabus that they have. He was able to apply what he had learnt at Zhou’s to his school work and exams. At the same time, he enjoyed attending classes and this, I feel , is the most important part of His learning journey. My child likes the school teacher way of teaching. The teaching materials help her a lot in the Chinese, and since day she is confidence in her Chinese subject with consistent good results. 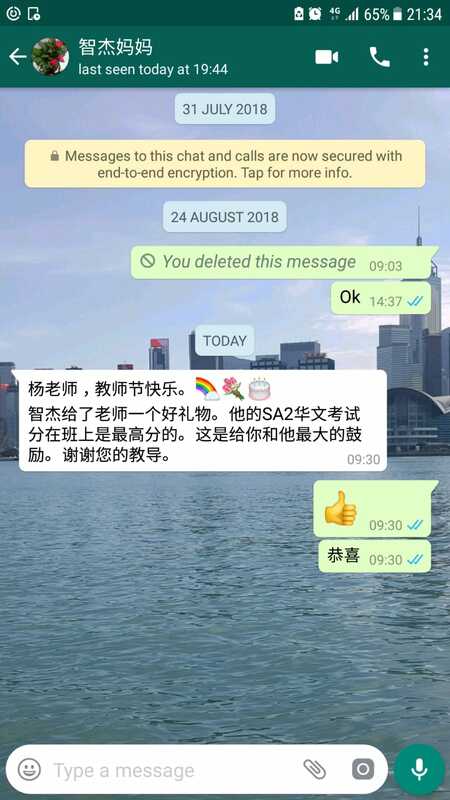 My son had improved dramatically in his Chinese, especially in recognising characters and having more interest to learn the language, after a semester at ZAS. Braden has improved a lot in his composition and comprehension skills after joining the centre about six months ago. He has also shown great interest in learning Chinese, and he was first in class in Chinese last semester. Breyan has enjoyed his lessons at the centre. His reading skill has improved greatly. Glenda has improved on her composition and oral skills.